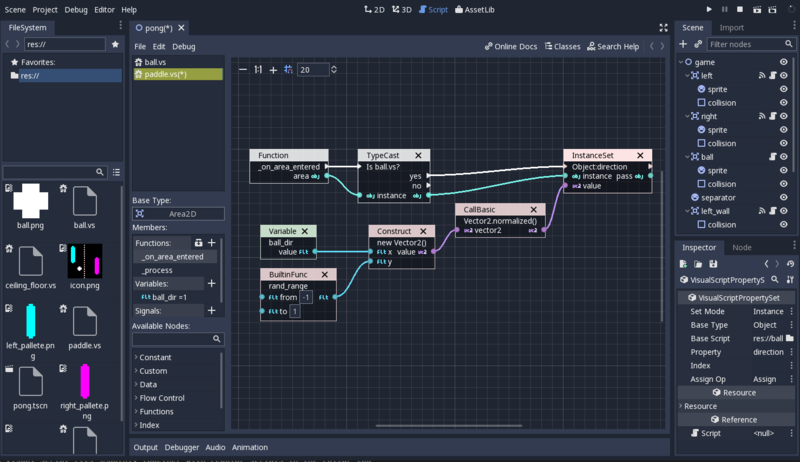 As with everything in Godot, we prioritize a good experience over copying or integrating third party solutions which might not fit nicely in the current workflow. 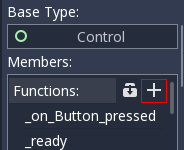 This led us to write our own version of how we believe this feature would work best with the engine. 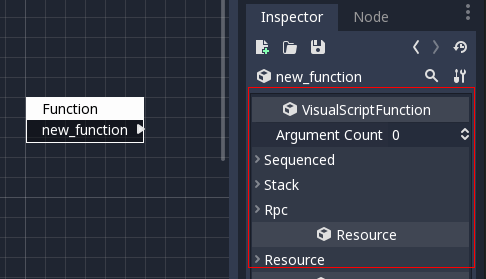 Once it opens, the script type “Visual Script” must be selected from the drop down list. 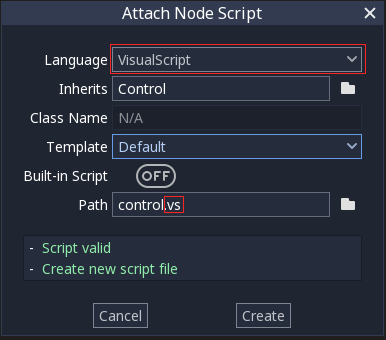 The script extension must be “.vs” (for Visual Script!). 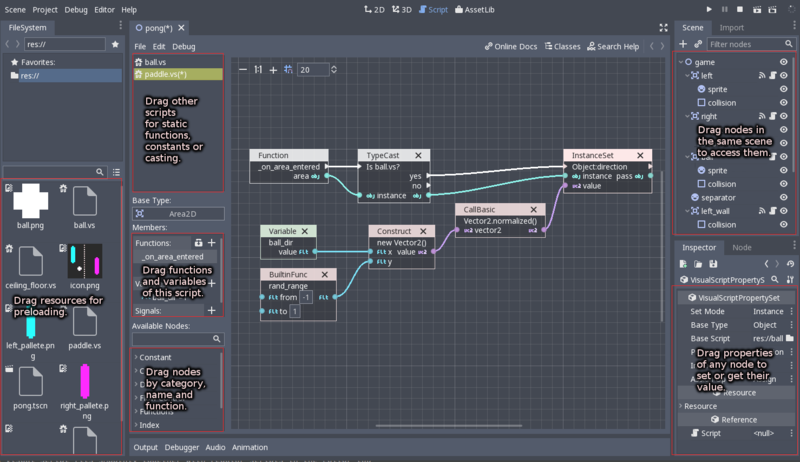 Unlike other visual scripting implementations, Visual Scripting in Godot is heavily based on functions. This happens because it uses the same interface to communicate with the engine as other scripting engines. 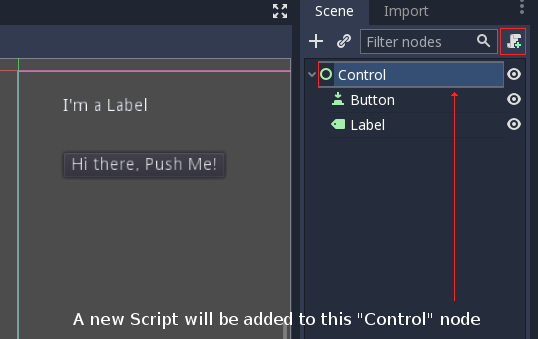 In Godot, the scripting interface is universal and all implementations conform to it. 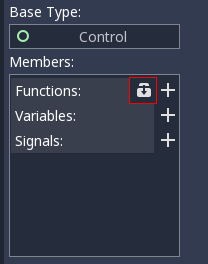 A function is an individual canvas with nodes connected. A single script can contain many functions, each of which will have a canvas of its own, allowing for more organization. Nodes in a tree emit signals when something happens. 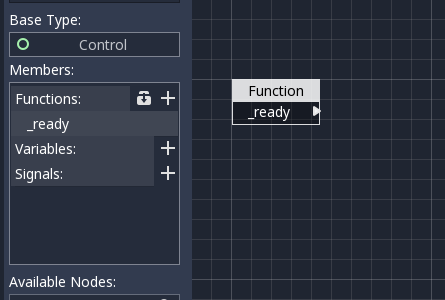 Godot uses signals for all sorts of things. A typical example would be a button that emits a “pressed” signal when actually pressed. The last way to create functions is to do it manually. In general, this is not as common unless you really need it. 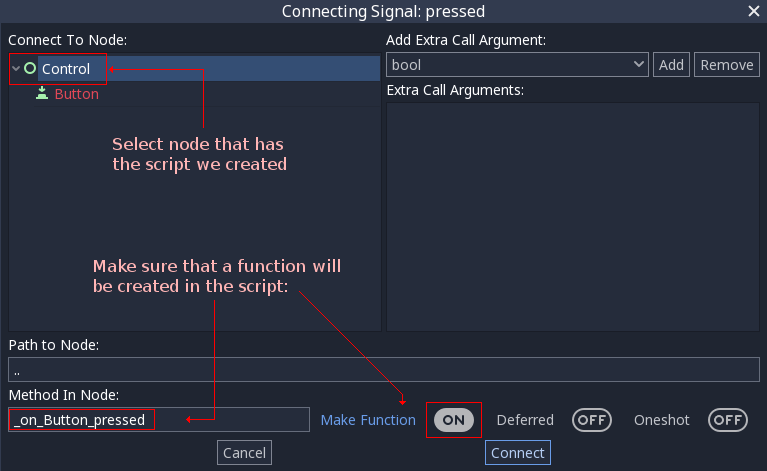 Custom functions work when another (or the same) script calls them manually. 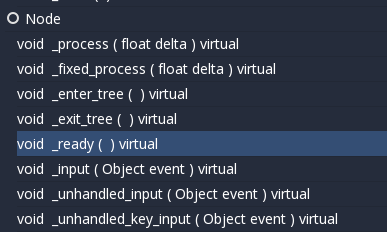 The main use cases for this are breaking a larger function up into several manageable chunks and reusing your visual code. More on that will be explained later in this document.